Restringing and knotting pearls, beadweaving and beadwork, repairs, remodelling, restoration, design with superb craftsmanship and attention to detail. "Deborah Smith has done an outstanding job of all our rethreading work for many years. She has a very professional business manner and we enjoy dealing with her." Deborah has over 18 years of experience in the jewellery trade. She trained with renowned Auckland jeweller Cathrine Clifford in the age old tradition of pearl stringing. Deborah will source beautiful clasps and findings to string your new pearls, restore your old strands to their former glory or remodel old jewellery to create new pieces from loved pearls, stones and beads. Deborah works with the top jewellers throughout New Zealand. She develops commission jewellery for their clients and for retail stock. 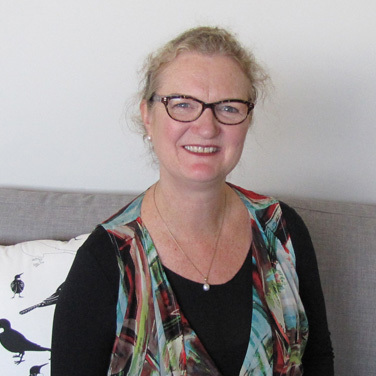 From 2003 to 2011, Deborah managed Beads Glorious Beads in Auckland, where she designed and produced jewellery for sale and exhibition, co-ordinated showings of clients’ work, and oversaw the retail side of the business. Her popular classes and bead groups for beginners through to advanced level, supported others in the development of their craft. Deborah creates a seasonal range of Christmas decorations and jewellery for iconic Pacific store, Pauanesia. Her Paunesia angels have graced Christmas trees around the world for many years. An evergrowing native flora and fauna inspired collection accompanies them. Deborah has enjoyed working collaboratively with Kari Lindsay-Beale, glass artist, in exhibition work (link to gallery) and using Karilea beads in her own designs . Now working for a well known jewellery business with stores throughout NZ, Deborah manages all the pearls! She prepares and maintains stock items as well as looking after all the customer repair work. She has extended her skill set to include doing the engraving of jewellery, and also manages the renovation of the vintage and antique jewellery the company specialises in. Deborah has attended Peter Minturn School of Jewellery evening class for the past 3 years and has loved incorporating her traditional pearl work with the development of silver work, making clasps, fittings and findings. Her most recent work has been an elaborate silver bead necklace, the large beads all hand formed and set with stones and pearls, all strung with delightful aquamarine beads. Deborah loves using beautiful materials to create fine pieces of jewellery. She understands that pearls and jewellery honour and show love. Working from her studio in Auckland, Deborah takes all care with jewellery, to complete the job as asked and return it in the time indicated. Jewellery is kept in a safebox and the studio is alarmed and insured. Work can be couriered or delivered according to arrangements with the client.